‘be happy’ as in myself, I am always known as the happy person, which personalty wise I am, but I do sometimes but myself down, I need to learn to be happy with myself. I have wanted to get in good shape for months, but I’m one of those people who always says ‘I’ll start tomorrow’ but never does. I have prom this year, and I want to be in good shape and happy with my body. 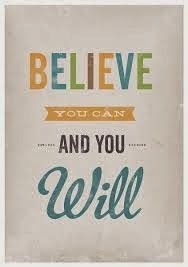 I have my Exams this year which is scary, but I need motivate myself to believe that I can do my best! There are millions of quotes that inspire me, but if I showed them all you would be here for years, but these are ones that I personally can relate to this year. 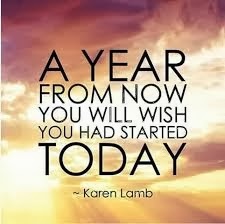 I love the quote "A year from now you will wish you had started today"! I too always say I'll start tomorrow and it's amazing how quickly time flies by! That is something I really hope to focus on not doing this year! Good luck getting in shape, prom will definitely be so much fun! I also just wrote my 2014 blogger challenge post. I like the first one, it's hard sometimes not to compare with others but better if you don't, if you spend your life comparing then you'll never live your own life! I definitely love the third quote because it's so true! So many people say: oh no, I won't start now, it's already so late but time passes by and suddenly a year has passed and you are still in the same situation!! I wish to remember this quote always!! !, sometimes is hard but we have to do!…great post dear!…I invite you to look mine! greetings! I have nominated you for the Liebster award, here is the link for you to find out the questions etc!